Volkswagen Commercial Vehicles is conducting a trial using RealWear hi-tech glasses to improve efficiency and maximise customer uptime. Augmented reality is being employed in Volkswagen service stations to repair vans. 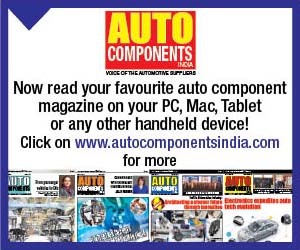 This is in the form of hi-tech glasses, a far cry from the conventional tools a typical automotive dealership would possess and rely on for repairs. Volkswagen Commercial Vehicles is halfway through a six-month trial of augmented reality headsets with its network which, simply put, are hi-tech spectacles worn by technicians. These spectacles, or glasses, are capable of beaming sights and sounds from under the bonnet to fellow staff or even customers based elsewhere. 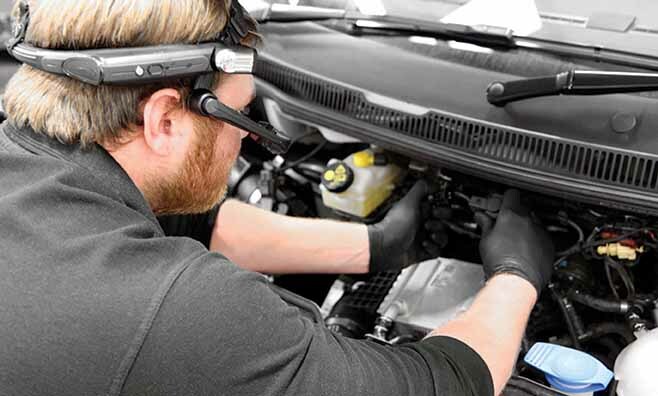 Trialling augmented reality with RealWear glasses technology in ten Van Centres in the UK ahead of a national roll out, Volkswagen Commercial Vehicles is keen to assure its customers of maximum uptime. Pushing dealerships into a territory of videography, which they have had no brush with ever, or to send pictures or sound files, the intention of employing hi-tech glasses for van repairs by the German major is to make the process of service and repair more efficient. Claimed to be rough and robust enough to stand the hardy environment of a automotive service station, the RealWear headsets have a noise cancellation system to be used in noisy environments. Averred Anderson, “The noise cancellation system – a sort of the second microphone, blanks out the ambient noise. The technician can thus be heard, and a clear communication is conducted.” A national rollout on the cards, the number of stations on trial has risen from the original 10 according to Anderson. Since the trial began in January, and at the discreation of the indvidual retailer if he wants to adpot the technology or not, the results had led to some exciting posibilities. 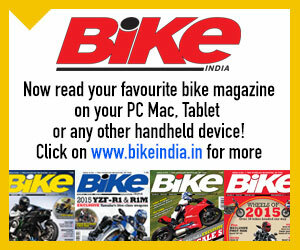 The technology, operating through a 4G connection, has got most dealers using it, to give a positive feedback. 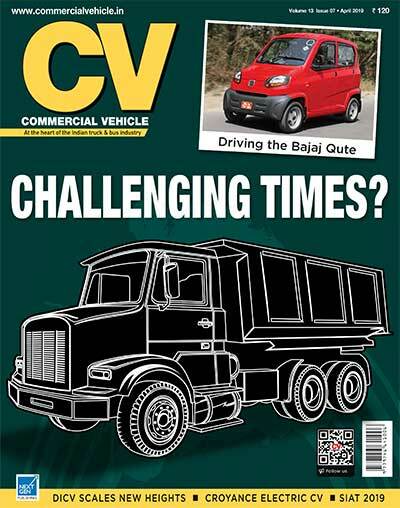 The early opinion is clearly positive, and is helping the dealers tackle problem jobs that wthey never seen before. The ability to link to the technical nerve centre of Volkswagen in the UK, or have a chat in return for complete guidance is helping to improve efficiency and cut down on the repair time. The headsets are also providing the much needed assistance to mobile service van crews. 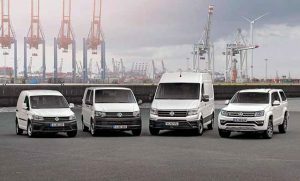 To reap higher benefits of the technology, Volkwagen Commercial Vehicles is said to be keen to use it to communicate with customers. 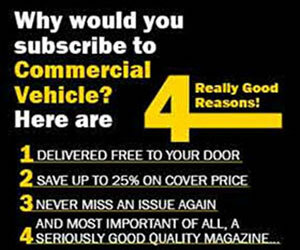 Typically the big fleets that the company deals with, the fleet managers are often not on the site. The technology would make it easier to reach out to them over a Skype call by using the headset. Such a communication, the German CV OEM is hoping, will help eliminate any chance of a misunderstanding or miscommunication. 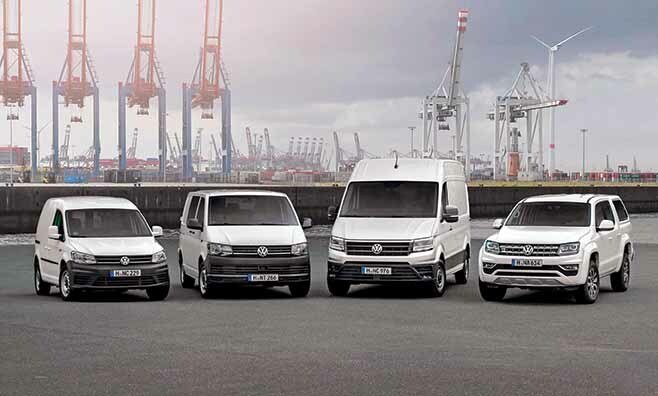 Expected to help Volkswagen Commercial Vehicles to achieve higher efficiency and transparency at the dealers and in connection with its van customers, the company is also claimed to be looking at using the RealWear technology to train people; to showcase some of the more physical aspects of its products. 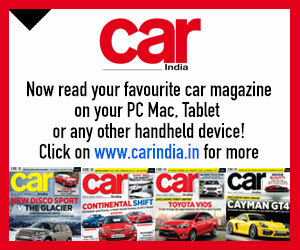 It is exploring the possibility to taking the potential customer on the tour of the vehicle and show areas that could be appealing or relevant to the nature of his business. How much space there is at the back, for example.